Genius has launched its budget-racing wheel in India, called the Gaming TwinWheel F1, priced at Rs. 2,622. 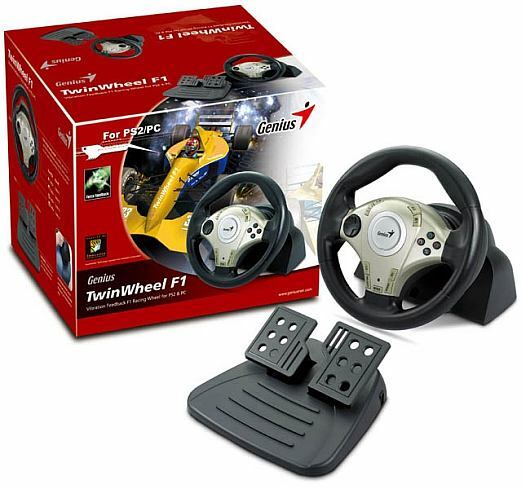 The racing wheel is compatible with both PCs and PS2s, and has apparently been designed for F1-style racing gaming. Features of the Genius Gaming TwinWheel F1 racing wheel include Immersion-patented TouchSense technology, advanced vibration feedback functions, a D-Pad, four action buttons, shifter gears under the wheel, two foot pedals, a central clamp, and a lap attachment. GT Racing 2 vs Real Racing 3, which is the best racing game on mobile devices? 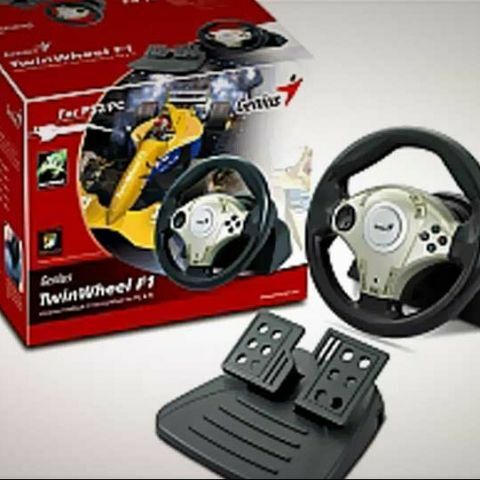 "Have a greater experience of racing games with Genius TwinWheel F1. It's very well designed to suit ones passion for gaming. It has all the required features for richer experience. This is a wonderful product that could be addressed and targeted to kids."